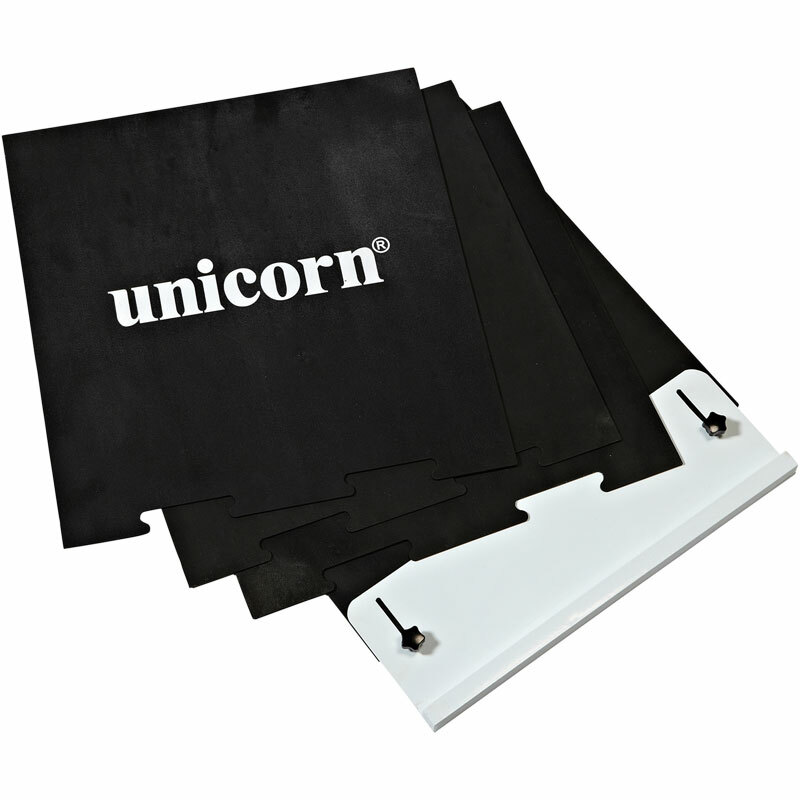 Unicorn has led the way in technical innovation in darts for over 75 years, providing the equipment for the PDC and some of the finest darts players in the world. 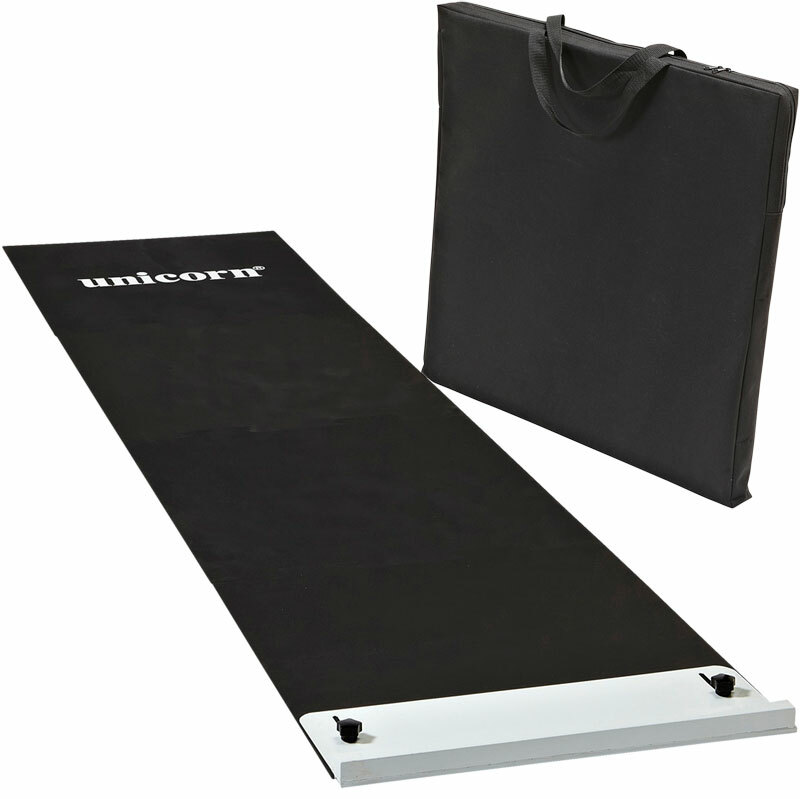 The Unicorn ® Raised Oche is easily transported to the venue, so no matter who you are playing you can be confident of your distance from the board. 4 Piece clip together construction. Can be set to compensate for most thicknesses of skirting board. Complete with zipped carry bag. Each piece 63cm x 60cm x 4cm - 7kg = 252cm long x 60cm wide x 4cm thick.